Google has finally launched Google Tez app in India. Tez is a smartphone based app which can be used to make digital payments within the country. Tez is a very secured app for making digital payments. The payment method is also very easy﻿. 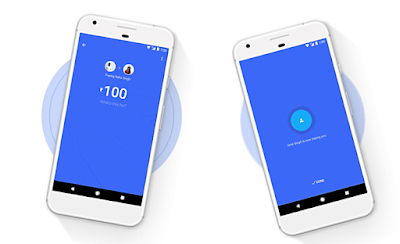 Google says you can make any payments with the help of this app, whether you have to send money to your family or friend or you have to pay to any shop in the market or you have to pay any bill. The payment method is quite easy. Also the payment is very secured. It uses the Unified Payment Interface method for making payment which is also used by many apps like BHIM, Phonepay and many more. The app is compatible with all the UPI enabled banks. Also there will be a specific PIN to open the app. For further security, there is a cash mode of payment in app in which you don't have to share you bank account or phone number for making payments. It's just like share it, the person who has to receive money has to switch on receive button and the person who has to send money has to enable send option in the cash mode. But for this option that person should be near to us. So in this way we can send or receive money without sharing phone number or A/c number. 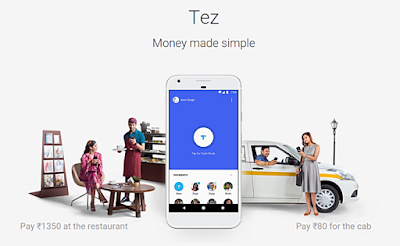 Also Google has some partner companies like Redbus, Dominos, PVR and more for payments through Tez app. But in future more companies will collaborate with the app. The app is available to download on Android as well as iOS platforms. There is also rewards option in the app in which we can get rewards if we make payments through this app. There are also specific offers active on this app like if we share this app with our friend and he downloads the app and makes his first payment, we both will get 51 INR. Also there is 1 lakh lucky draw offer with which the person can registered if he pays anyone at least 50 INR. Also there is one more offer, in which if we send or receive money with someone, we each earn scratch card that can contain upto 1000 INR.